Usability Engineering, at first glance at least, isn’t a “design” role. Why? Because the primary purpose of a usability engineer is to find problems. They’re the people who conduct studies into how well a user can actually carry out the tasks they want to carry out and find out where the current offering fails to deliver. Of course, in practice, that is a design role. 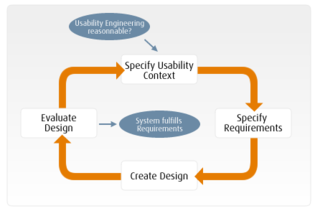 Usability engineers design questionnaires, they design interview based studies, the design tests (and then go on to facilitate those tests), they may even design tests in software packages that are built for these purposes. It’s very much a “design” role, even if the job title doesn’t bring that out clearly. The best usability engineers will work to standards that have been set out either by industry or by quality standards bodies (such as ISO). They also have a thorough background in statistical analysis and interpretation – after all it’s important that the results of their work are statistically significant. Otherwise, the problems that a usability engineer identifies might well not be problems for anything more than the individual user that they talked to – it’s not a good idea to base your user experience on the needs of wants of an unrepresentative sample (except, of course, in the case that that sample is the one paying the bills for all the rest of the users – in that case you may need to come up with a compromise between their needs and the rest of the user base’s needs). That statistical background also allows them to choose the right tests for the right purposes and to interpret the numbers that they derive from those tests into something meaningful for the rest of the user experience design team. Usability engineers often work in academia or have been in academia before they entered the corporate world. This is because there’s an awful lot of research that may be relevant to their work (there’s no point in reinventing the wheel is there?) and that means that they need to be able to track down such studies and then evaluate their value in relation to what they’re trying to achieve. An academic background will also make it easier for the usability engineer to determine the credibility of the sources that they evaluate. Sadly, there’s a lot of “white noise” in academic journals nowadays when the pressure is on to publish and peer reviews are often neglected. Some usability outputs are likely to be very specific such as; “Button Y needs moving from its current position to the top right hand corner of the screen beneath the Search Box” and some are very general; “Navigation needs readjusting to make it easier for people to find what they’re looking for”. 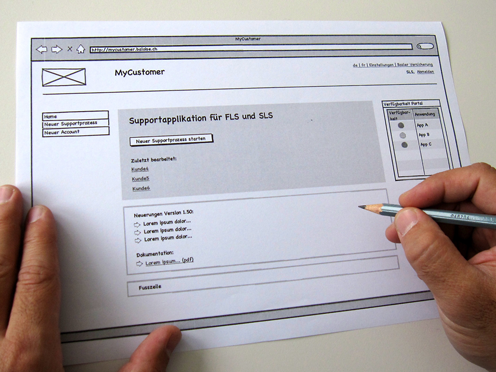 However, a usability engineer’s output is very much key to the user experience.